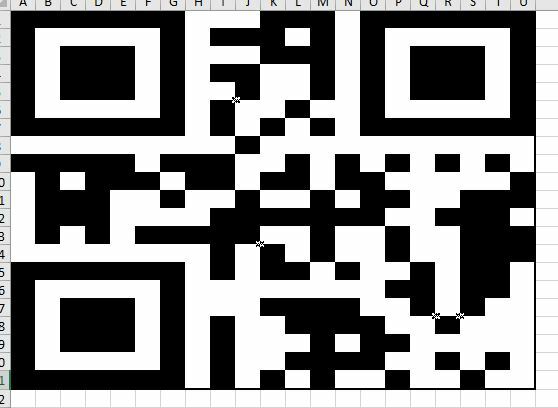 Consider the following pixel puzzle which somehow looks like a damaged QR Code with clues on the left of every row and on the top of every column. These numbers represent the total amount of "black pixels" within the respective row or column. Counting the black pixels suggests that some of them are missing. 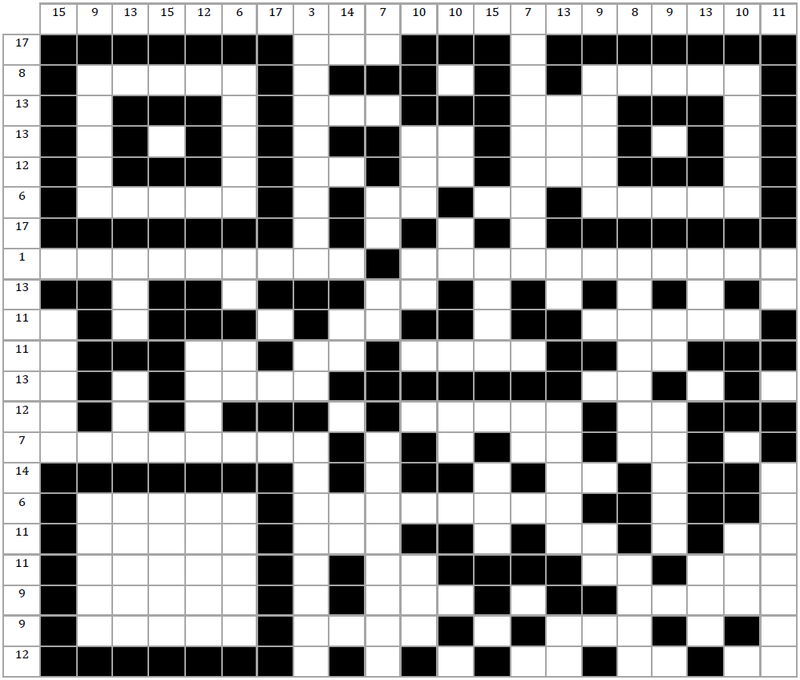 Reconstruct the QR Code by using the clues on the left of every row and on the top of every column. The QR code yields a code. Your third and last objective is to transform this code into a pandigital number by using just one simple arithmetic operation. What pandigital number do you get? A pandigital number is one that contains each of the digits from $0$ to $9$ exactly once. The leading number must not be a $0$! I placed a "1" in each black square, then wrote excel equations counting the number of squares still required in each row/column. Then I filled in individual squares (by setting them to 1). First, I finished the squares in the top-left, top-right, and bottom-left corners, then by placing squares in rows where there was only one valid column left (and vice-versa). There was only one place where I had to guess, but apparently I guessed right on the first try. "99066" in plaintext, which, when squared, gives us the pandigital number 9814072356.